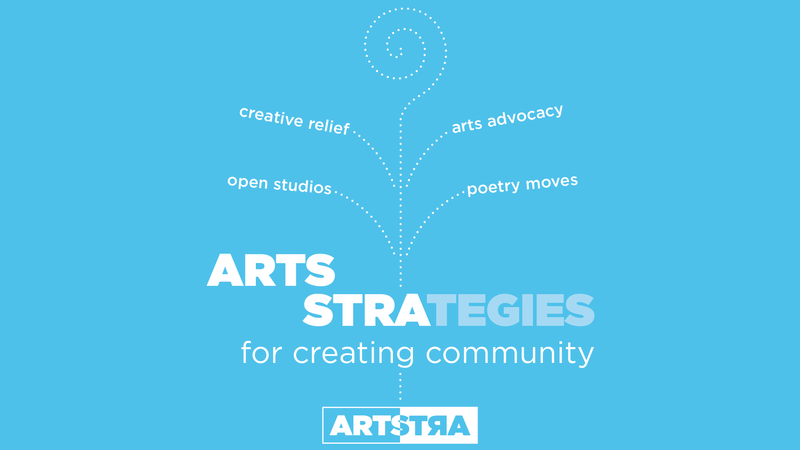 As we look ahead to a bright future for the arts, the nonprofit Arts of Clark County, formed nearly a decade ago, has changed its name to Artstra. The name change, effective Feb. 1, “more accurately reflects our independent spirit,” says Chair Karen Madsen. “We are not affiliated with any government entity, and yet we support and work with city, county, regional, and state arts groups when our visions align.” In addition Madsen says that Artstra’s programs and interests reach beyond any specific geopolitical boundaries. So the new name intentionally leaves behind any reference to geography. It was back in 2009 when a small group of arts supporters banded together to establish a formal advocacy for the arts in Clark County. The closing of Columbia Arts Center and the 2005 disbanding of the Vancouver Cultural Commission left a void, especially, for people and organizations seeking the kind of endorsements often needed to apply for arts grants. It was clear that Vancouver as an arts destination was hidden and mostly underground in those days. Vancouver and Clark County, in the eyes of most arts followers, was “drive through” country. From parts north like Bellingham or Seattle to places in our region and further south, most people seeking an arts experience rarely took an exit off I-5 except to land in Portland. The fledgling group of artists and arts enthusiasts approached the Clark County Board of Commissioners who agreed to the formation of a Clark County Arts Commission (CCAC) as long as it didn’t require County funds and could find a fiscal sponsor for its programs. In 2010 the County commissioners gave the CCAC its charter and, separately, an independent nonprofit corporation named Arts of Clark County was founded. AoCC agreed to provide fiscal sponsorship for CCAC as a nonprofit arts organization structured to raise and hold funds, advocate for the arts, and create and support arts programming countywide. While AoCC and CCAC worked together on some projects and programs, by 2018 CCAC had a diminished need for fiscal sponsorship and ultimately elected to no longer engage AoCC as their fiscal sponsor. Instead, they would find other ways to raise the funds required to support their activities. AoCC was also hearing from the community that the two organizations were often seen as one, and there was a perception that the County or City somehow funded AoCC. This confusion may have hindered the all-volunteer group’s ability to gain widespread support from donors. “We’ve accomplished a lot so far and are very proud of what we’ve done and now, in 2019, we’re turning over a new leaf with a new name and a new identity,” says Madsen. Over the past eight years the organization’s advocacy has caught the attention of other nonprofits, governmental agencies, regional artists, and supporters of the arts. “We have shown through arts and culture summits, workshops, and efforts like our Open Studios and Poetry Moves programs that our community is teaming with makers and consumers of the arts,” says Madsen.